I watched the recent Flood Mitigation Task Force meeting held on March 26, 2019, available on Facebook. The focus was streets and drainage. How to prioritize what streets get fixed first. Suggested ranking criteria was first discussed – how many houses flooded in a block. How old the houses were. I gather if a newer house flooded it ranks lower than an older house that flooded, not sure why, not even sure that was the suggestion. Allocate points on a scale of 1 to 100. City has 764 block segments. I did not find any reference to a ranking system for houses in the Action Plan portion of the Task Force report, published in March of 2018. A link to that report can be found at the end of this article. The discussion was disorganized and never seemed to make much headway in resolving any issues or questions that arose during the discussion. The Flood Mitigation Task Force was developed out of necessity. 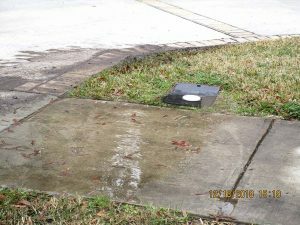 Flooding during Hurricane Harvey affected over 2000 Bellaire homes with anywhere from a few inches to several feet of water. 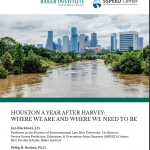 After more than 1400 homes flooded during Tropical Storm Allison, 200 in the Memorial Day flood in 2015, plus the damage from Harvey, Bellaire is considered a Repetitive Loss Community. Most of our flooding occurred due to our location in a 100 year floodplain, and in order to maintain our class status in the National Flood Insurance Program (NWIP) Community Rating Systems (CRS) Bellaire needed to provide sufficient evidence that the City is addressing the floodplain issues, to show that steps are being taken to mitigate future flooding in the floodplain. One commission member mentioned ‘backwater events’ – when there is nowhere for the water in Bellaire to flow because Brays Bayou is high. Apparently that was the problem in Tropical Storm Allison in 2001 and Hurricane Harvey in 2017. The water backed up into the streets and then the houses because the bayou was overflowing. None of the experts explained what City projects would help this sort of flooding. Or how ranking housing stock would help. 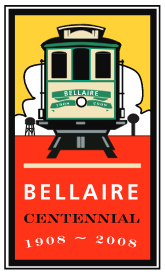 Mention was made of additional developments upstream along Brays Bayou – how might that affect Bellaire? Regional fixes will affect local flooding – lower the bayou, improve sheet flows, for example. 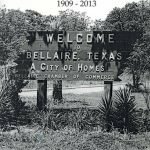 What might help Bellaire’s location in the flood plain? North/South streets and drainage under-designed? Reference was made to the 2016 Drainage Study by ARKK. Most agreed Harvey was a one-off event and unlikely to recur. Suggestions were made to analyse problems with pooling in average rainfalls – over the curbs and into the yards with a 3-inch rain event, streets flooded. What can we expect from current projects relative to 100, 500 year floods? No answers were provided. The Bellaire area worst affected in Harvey was Southdale, then properties south of Bellaire Blvd. These areas are lower in elevation, with the southeast area the lowest. Similar to elevations shown on the flood map. James Andrews (ARKK) explained that Southdale is the lowest area. Later he mentioned possibilities for detention – tunnels or open ditches. Several commission members sparked ideas for other ways to rank streets. Another commission member felt both modeling and data should be used to prioritize street/drainage projects. Also provide a list of all houses that flooded, street by street, over a period of years. No bias towards older homes. All storms vary in size and location. Stop giving weight to older homes, all homes are important to their residents; possible detention areas under city parks. Bellaire High school will have such an area. Questions about how flap gates work along Brays Bayou; what happens as more projects are built along the bayou to the west. 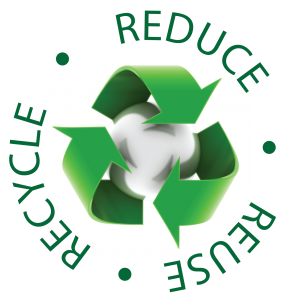 There seems to be a need by the City to do something, or appear to do something, before in-depth research and a full investigation of designs and solutions have been initiated, much less completed. A lack of desire to invite outside inspection of project plans. Two City contractors were in attendance, one from ARKK and one from Costello. 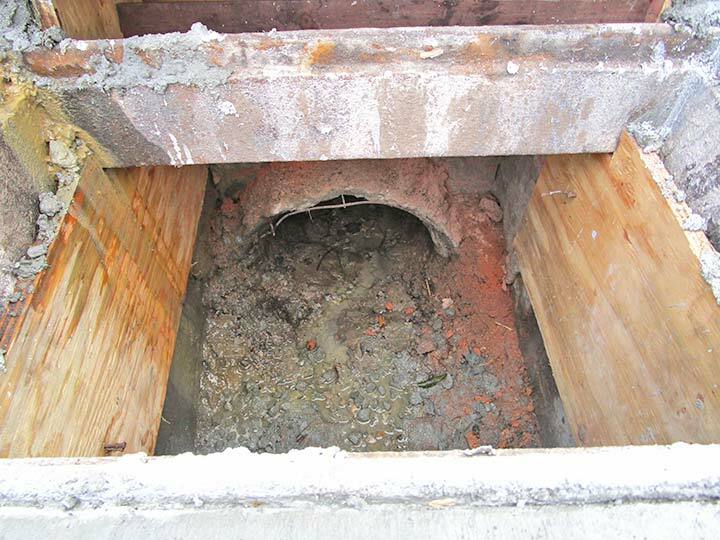 Street and drainage projects are approved for millions of dollars – why not postpone those not yet started until plans are peer reviewed and best practices are provided? 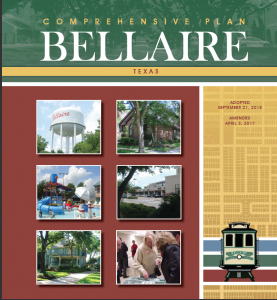 Or until the inter-local regional study (Bellaire’s portion of the cost is $126,000) is completed. 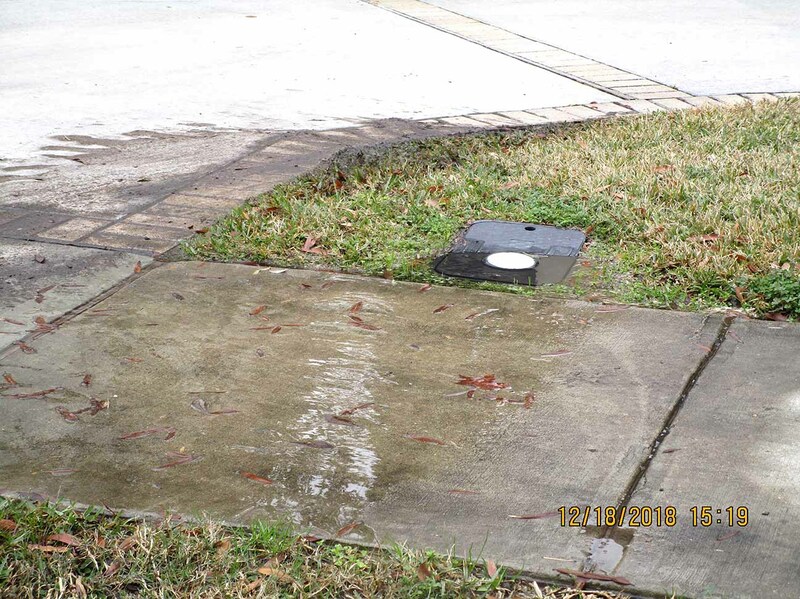 The study was presented in the 2019 inter-local Master Concept Drainage Plan. And a question: What about subsidence? Is Bellaire still providing some of our City water from our artesian wells? No solutions were suggested other than ‘regional’ studies, one of which is already underway. No actual data or handouts were provided to audience members. I don’t know what was provided to the Task Force members. Another meeting will be scheduled. Residents are going to be asked to pay for more infrastructure projects in the proposed bond election under discussion for this November. Citizens had better be prepared to ask hard questions about proposed projects, no more vague, non-specific ballot language like “Streets, Drainage, and Sidewalks – $24 million”. 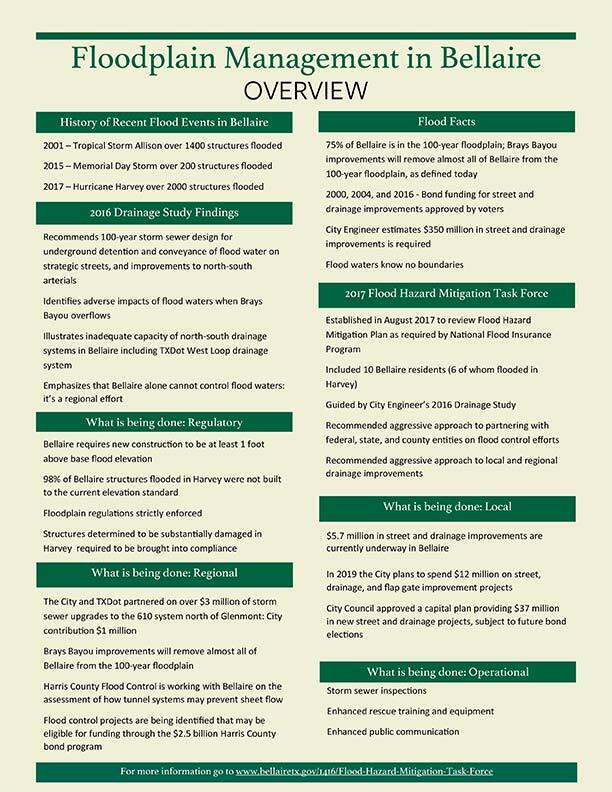 Here’s the link to the City of Bellaire Flood Hazard Mitigation Report Prepared by ARKK Engineers, LLC. March 2018. Yes, it’s 400 pages plus an appendix! But at least review it, you will find numerous reports, photos, and graphics of the Bellaire area and the floodplain. Unfortunately Chapter X, The Draft Action Plan, is rather long; my question is which of these suggested action items have been addressed? You can view a slightly shorter version here. There’s a really long list of suggested actions already with more discussed at this recent meeting. I encourage everyone to take a look, because we’re almost out of money, so we’ll be discussing more City debt, as much as $47 million, as soon as this Fall. You can watch the meeting on Facebook. Bellaire resident since 1956. Email: bellairebcc@gmail.com. Find more information on 'About This Site' in the main menu.